Gymnasts, ghosts, and ghouls – A-Mazing Adventure invites you! 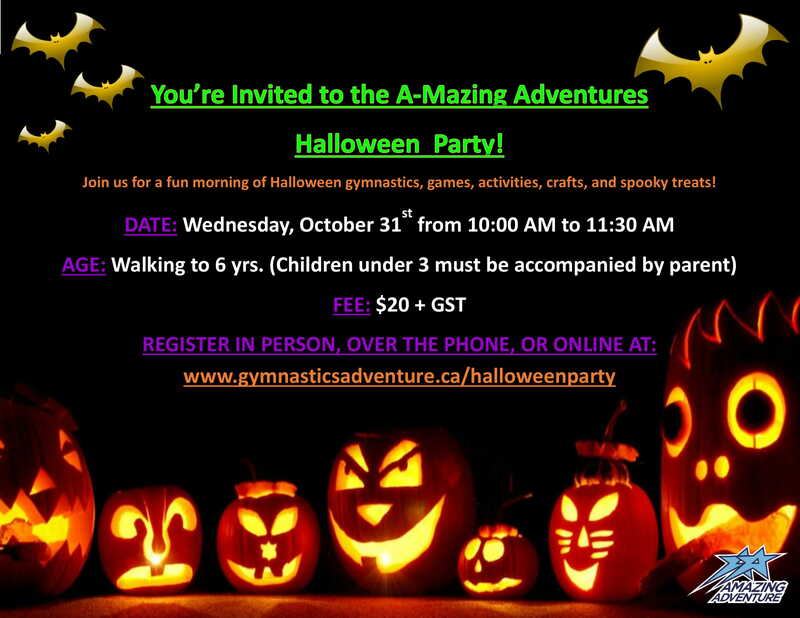 We are excited to announce that we will be hosting a Halloween party on October 31 from 10:00AM to 11:30AM. 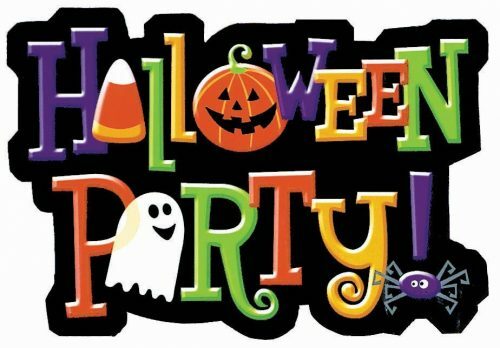 There will be many games and gymnastics on the floor, different crafts, activities, and costumes are a must! Ages walking to 6 years are welcome, and we ask that any child under 3 is accompanied by a parent. 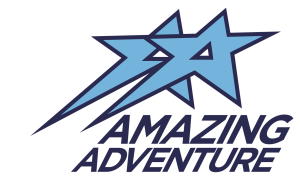 The fee is $20 + GST and you can sign up on the website, in person at the facility, or over the phone! We look forward to seeing you for our best BOO yet!